The variety of squashes available right now is absolutely amazing! One of my favorite ways to eat them is roasted, I just love the texture, and you can fill them with so many awesome things, like cranberries! I found this recipe on the Taste of Home site, and immediately printed it out. I didn't make any changes to this recipe. The stuffing comes together quickly, while the squash is in the oven. 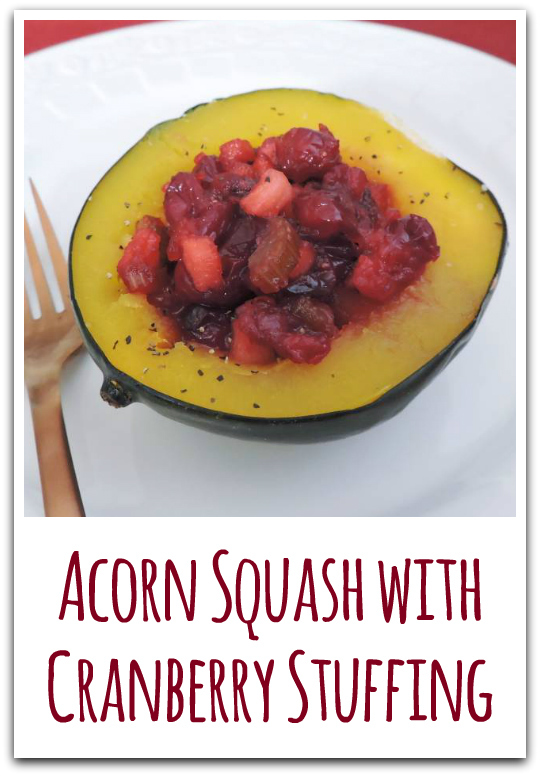 If you can't find acorn, this would be great in butternut or delicata too. I vacuum sealed and froze some, and they reheated perfectly. Thank you to Dorothy P. for sharing her recipe! Thank you again to Caroline for hosting #CranberryWeek, and to all of the #FestiveFoodies for sharing their recipes. I've added a bunch to my to-try list, and I hope you have too! Turn squash halves over; fill with cranberry mixture. Cover and bake 10-15 minutes longer or until squash is tender. I'm excited to be sharing this recipe as part of Cranberry Week - now in it's third year! See all the tasty cranberry recipes being shared today below and follow #cranberryweek on social media for more ideas all week long. 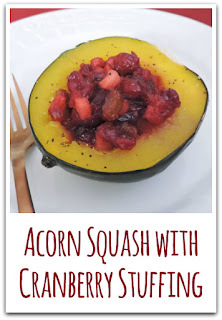 Acorn squash is so delicious! I didn't think to stuff it with cranberries. Looks so scrumptious. I've been eating so much squash, it's been great to find ways to change it up!